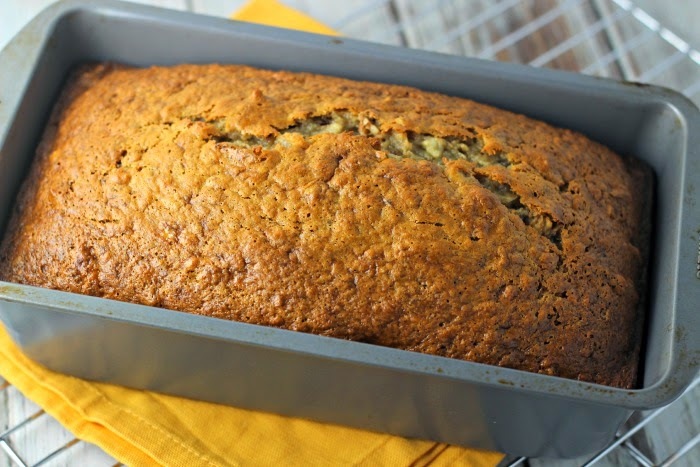 Easy Banana Bread is EXACTLY what it claims to be! 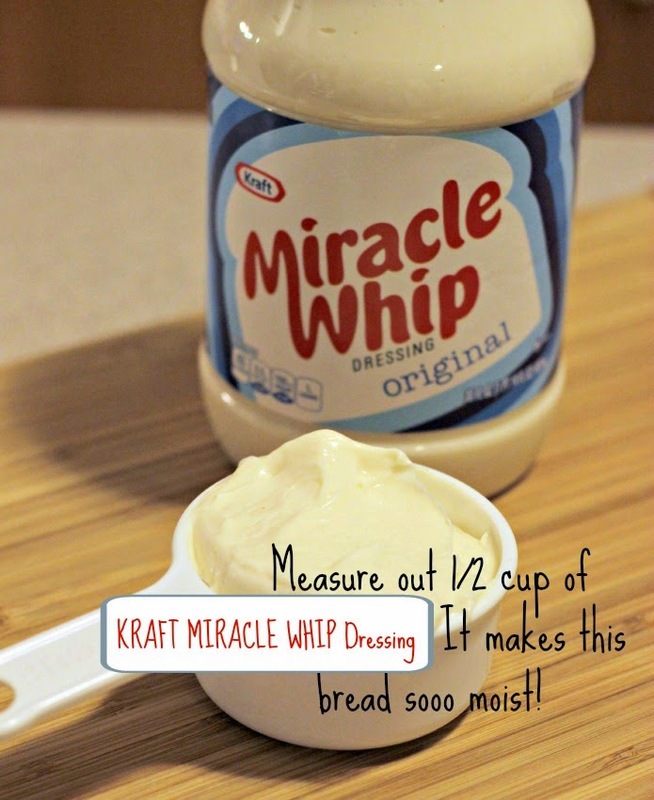 Super easy to make, using KRAFT MIRACLE WHIP Dressing in place of butter or oil to produce a super tasty, moist, better-for-you quick bread everyone will enjoy! I'll be honest. 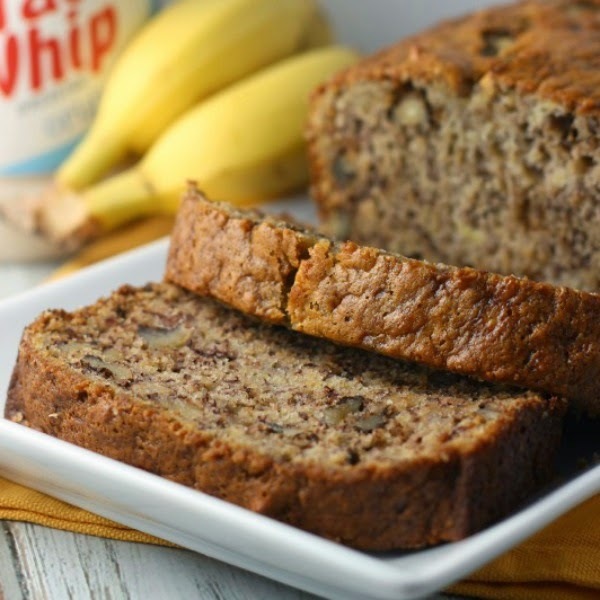 I don't normally purchase KRAFT MIRACLE WHIP Dressing as part of my normal shopping routine, but when I saw this recipe for Easy Banana Bread on Kraftrecipes.com, I just had to give it a try! I am so glad I tried this recipe! Wow. Can I just say, this recipe really lives up to it's name!? Isn't my banana bread below BEEEEE- utiful? It's hard to believe this recipe is just so easy with relatively few ingredients. Even a non-baker can find success! I promise. 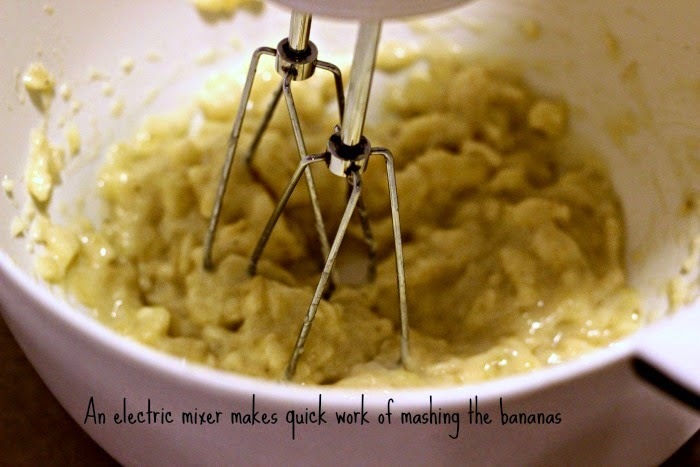 I like to use my electric mixer to thoroughly mash the bananas when I make banana bread. You can use my method, or just use a fork to mash them up. I like the mixer method because the banana is more uniform in the batter. But that's just my preference. While this bread is baking, your house will smell all kinds of wonderful! I had a hard time waiting for the bread to cool enough for me to cut into it! But when I was finally able to cut it, my taste buds were rewarded with sweet banana goodness. 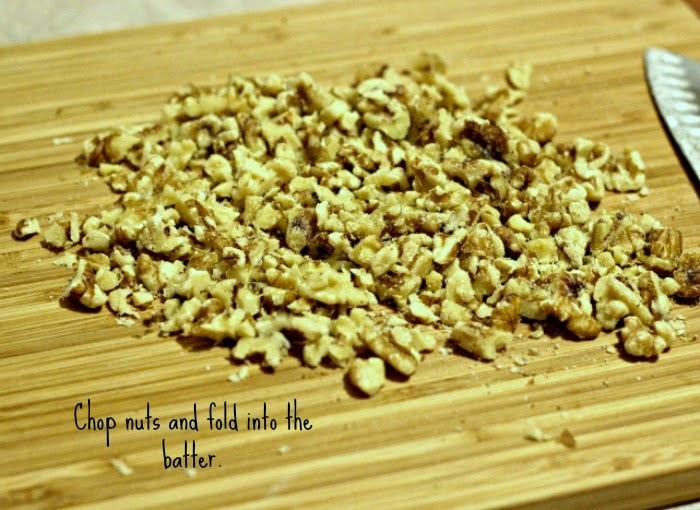 It was so very moist and dotted perfectly with crunchy walnuts. Serve it plain or with a little bit of cream cheese like I do! What do you think? 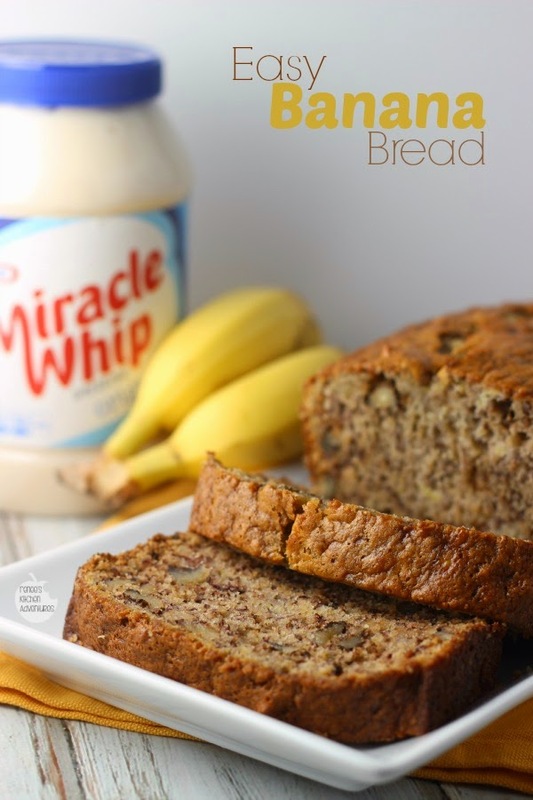 Are you willing to give KRAFT MIRACLE WHIP Dressing and this banana bread recipe a try? 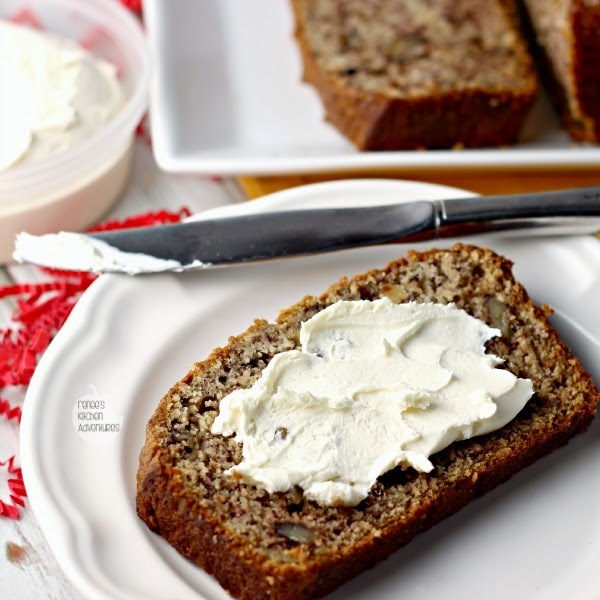 Easy Banana Bread full of flavor and moist as can be, featuring KRAFT MIRACLE WHIP Dressing. 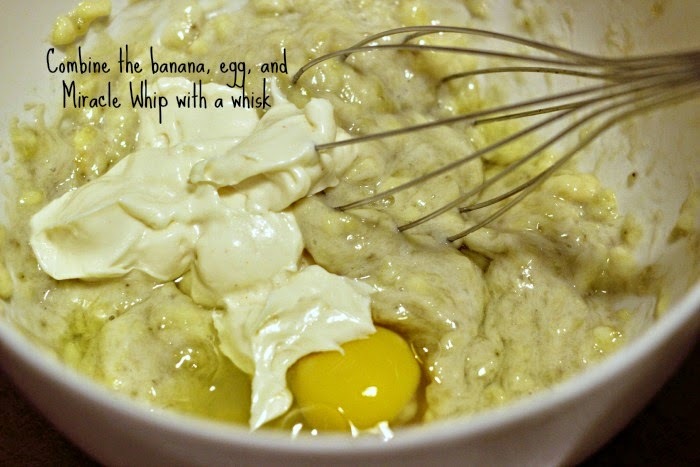 BEAT egg, dressing, and bananas in large bowl with whisk until blended. 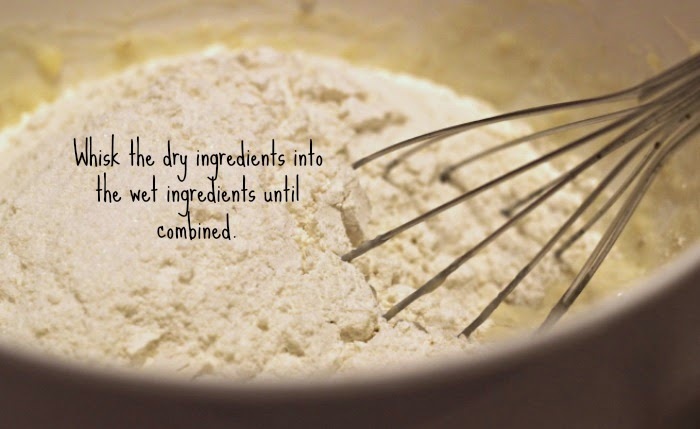 Mix remaining ingredients. Add to banana mixture; stir until just moistened. BAKE 1 hour or until toothpick inserted in center comes out clean. Cool in pan 10 min. ;remove from pan to wire rack. Cool completely. Since this recipe turned out so well, I decided to make a few more breads to give out to friends and family to celebrate the upcoming New Year! 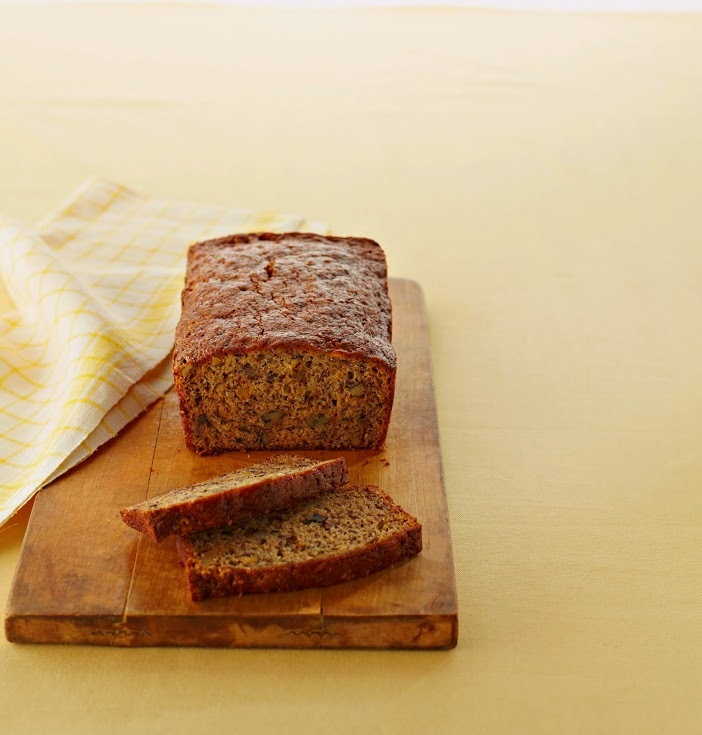 This better-for-you bread contains no butter or oil, is under 200 calories per serving (16 servings per bread), and 4.5g fat per serving (nutrition information from Kraftrecipes.com). It's a wonderful way to start the new year! 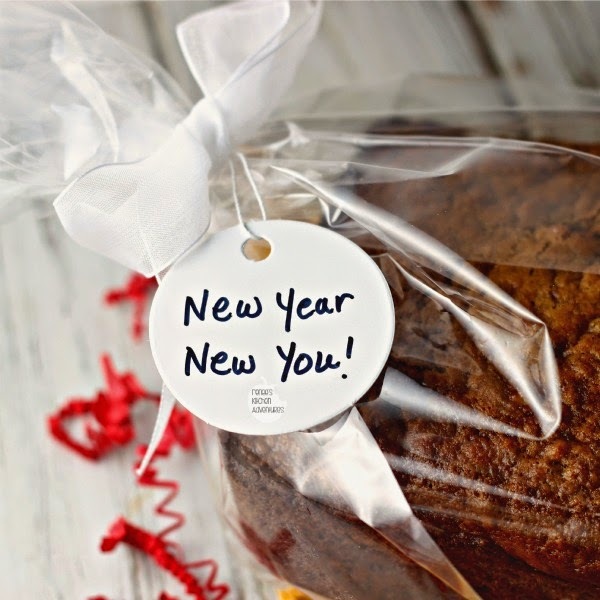 I packaged the breads up in cellophane and tied them with a nice white ribbon and a tag that read, "New Year, New You!" I can't wait to take one of these breads to my mom, for our annual New Year's Day celebration where my family traditionally enjoys roast pork for good luck in the upcoming new year. Wow, Miracle Whip, huh? Never would have thought of that! Thanks for sharing, this bread looks amazing! I love how easy and delightful this looks. 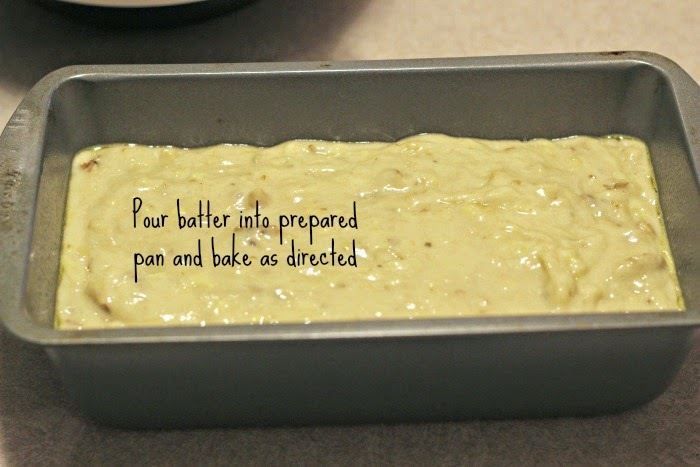 I love using mayo or miracle whip in banana bread and cakes. It makes it so moist and delicious. Yum! 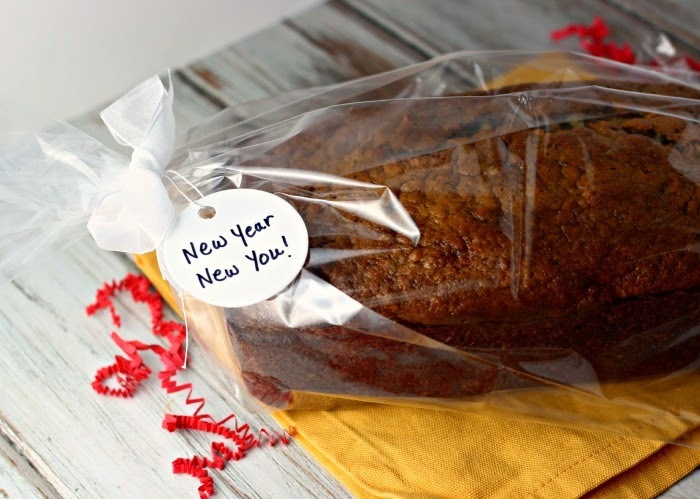 This banana bread looks fabulous! So surprised Miracle Whip is an ingredient used in it! This bread looks wonderful! I can't believe it uses Miracle Whip! 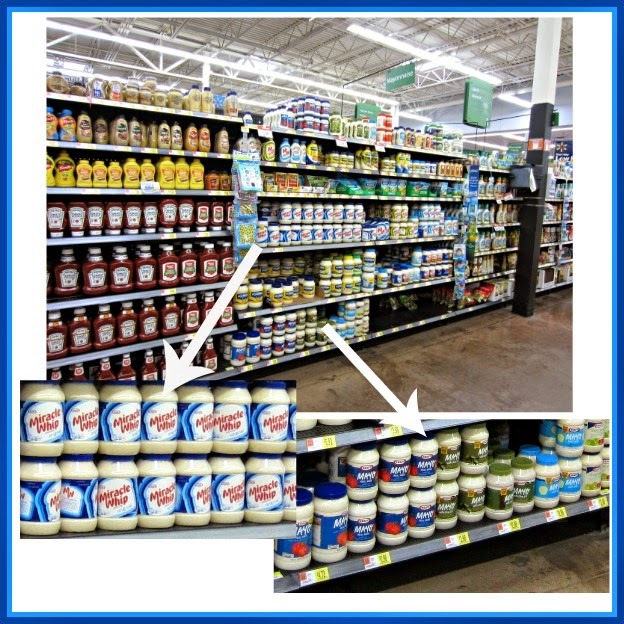 do u have to use miracle whip? i'm a diabetic so I don't use it. I have only made it the way the recipe is written. You could certainly try to replace the product with butter or oil, but I have not substituted those ingredients myself in this recipe. I agree that is does not make it healthier, but it does make it a bit more diet friendly by reducing the overall fat and calories some. I make a cake that uses mayo - makes it so moist! I'll give this a try too - I just bought 15 bananas for $1 on my discount rack! Happy New Year Renee! Miracle whip has lemon juice, ground mustard, and sugar in it, so the taste is quite different. 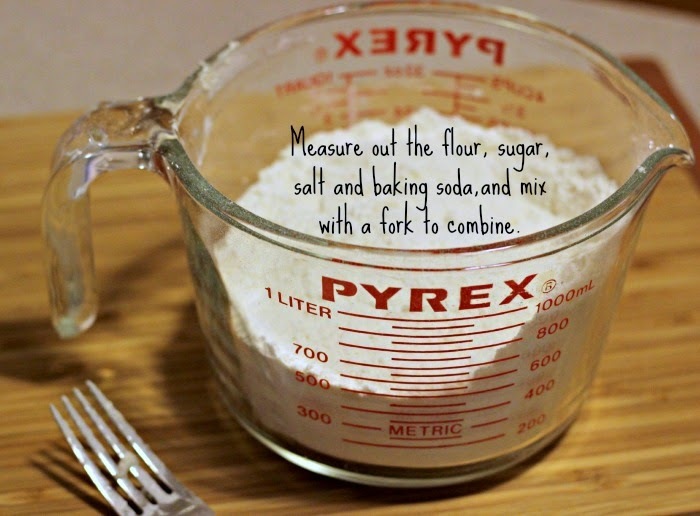 If using mayo, I would add sugar to it to add the sweetness - powdered sugar is good. Is there no vanilla in the recipe? There is no vanilla in this recipe. But feel free to add it if you like!